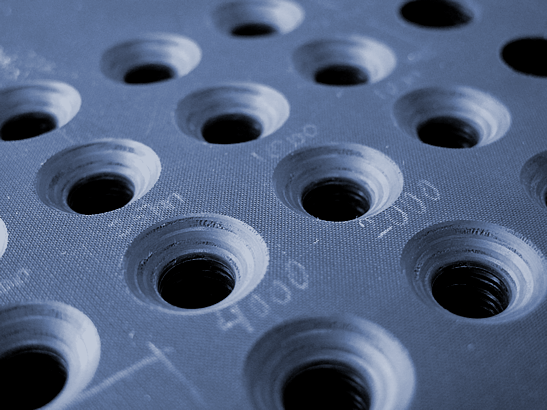 Countersink tools for composites and aerospace materials. Got that sinking feeling? No worries. Countersink your carbon composite component. Switch your inserts (it takes seconds). Then countersink titanium. Or aluminium. Or Kevlar. And then switch back to composites. You can do it all using the same indexable countersink adaptor. Save yourself time and hassle with quick change FIBROSINK™ countersink tools. Introducing Cajero’s new CBA-Type indexable countersink tool. We’ve combined interchangeable inserts and pilots to create flexibility you won’t find anywhere else. Get consistent countersink depths and surface finish with Cajero’s BWCT-Type drawbar countersink tool. Get consistent countersink depths and surface finish with Cajero’s ST1292-Type drawbar countersink tool. No microstop cage? No problem. Get the countersink depth you require without using a microstop countersink cage, thanks to Cajero’s DS-Type indexable countersink tool. One-shot CNC drill-countersinks for composites. Introducing Cajero’s OSI-Type indexable drill countersink tool with interchangeable drills and inserts, with multiple configurations for you to choose from.